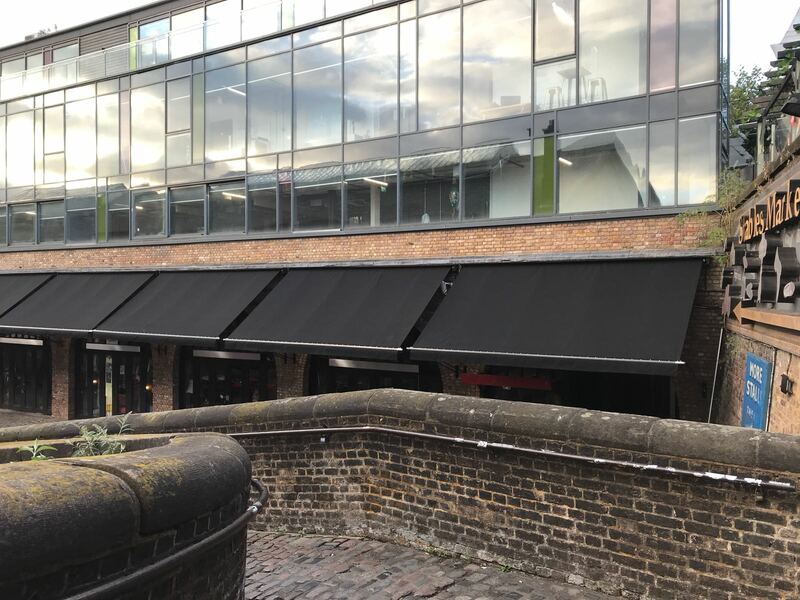 We were instructed to remove the existing fixed frames and supply and install these 11 Traditional Victorian awnings in the Stables area of Camden Market. 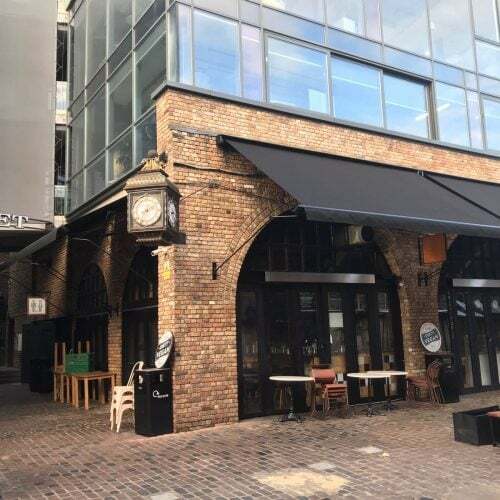 Victorian Awnings work well in this area providing good cover for the shops below, they are also in keeping with the age of the market. 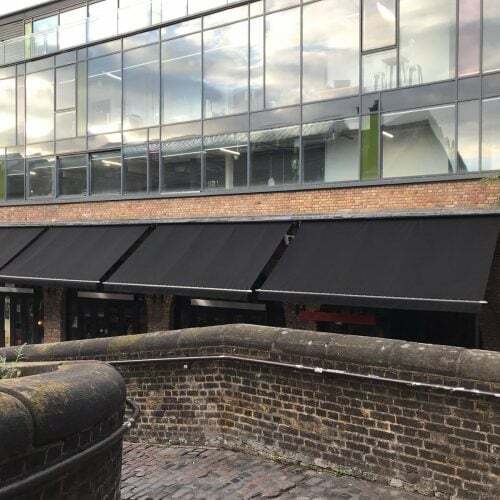 We are delighted to be working with Camden market on providing shading solutions to other areas which is undergoing a huge amount of refurbishment & investment to keep it one of the most poplar places to visit in London. 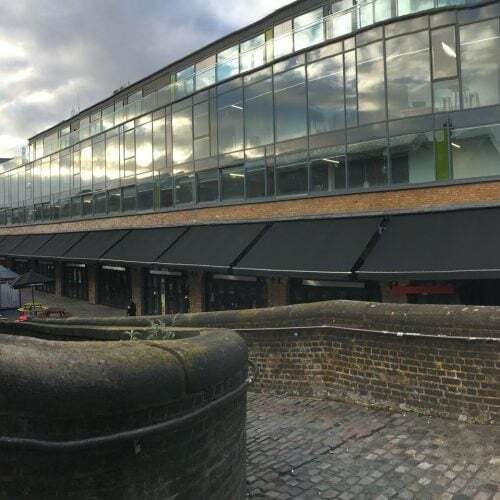 The Camden markets are a number of adjoining large retail markets in Camden Town near the Hampstead Road Lock of the Regents Canal (popularly referred to as Camden Lock), often collectively named “Camden Market” or “Camden Lock”. Among products sold on the stalls are crafts, clothing, bric-a-brac, and fast food. It is the fourth-most popular visitor attraction in London, attracting approximately 250,000 people each week. Small local foodstuffs market has operated in Inverness Street in Camden Town since the beginning of the 20th century. 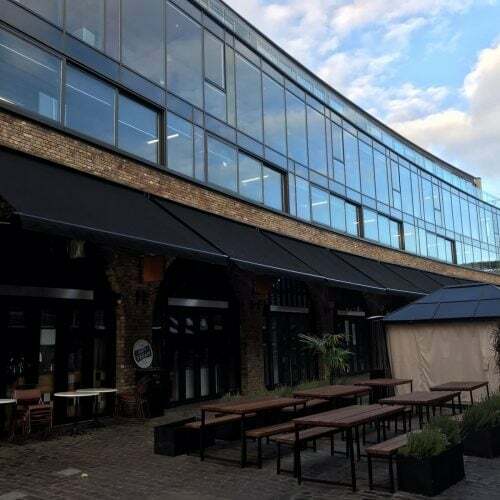 From 1974 a small weekly crafts market that operated every Sunday near Camden Lock developed into a large complex of markets.. 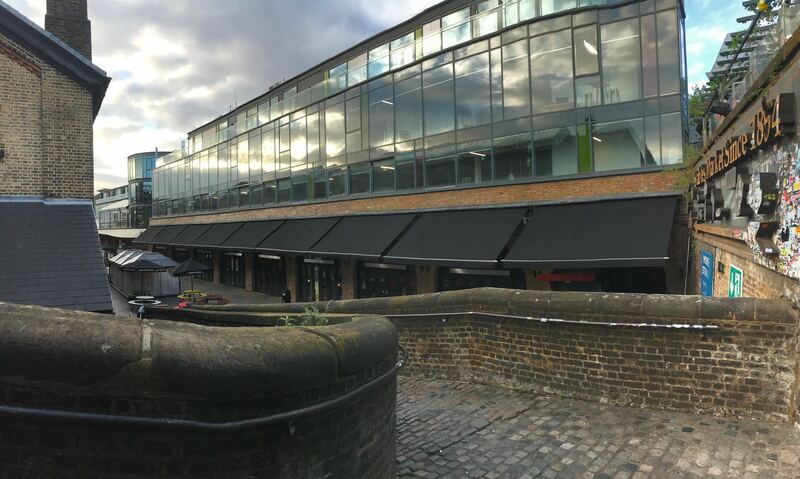 The markets, originally temporary stalls only, extended to a mixture of stalls and fixed premises. The traditional Inverness Street market started losing stalls once local supermarkets opened; by mid-2013 all the original stalls had gone, being replaced by stalls similar to those of the other markets, including fast food but not produce. The markets originally operated on Sundays only, which continues to be the main trading day. 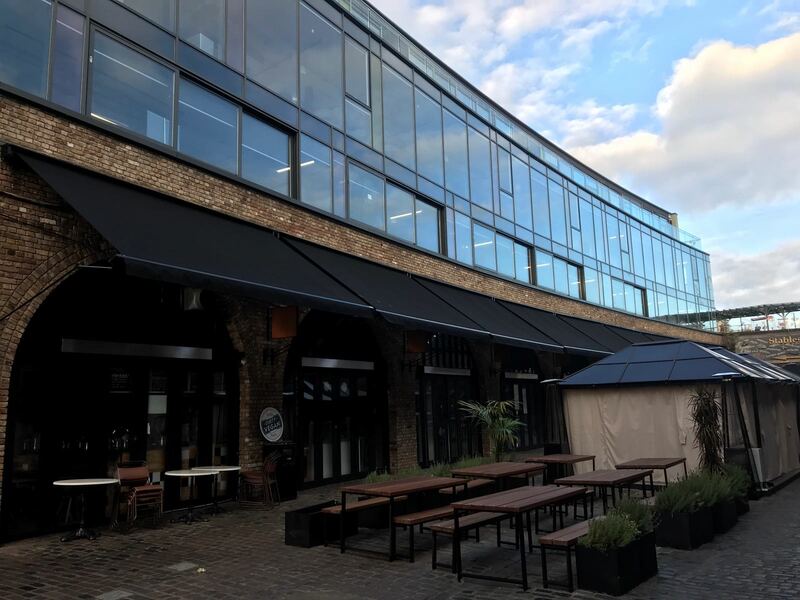 Opening later extended to Saturdays for most of the market. 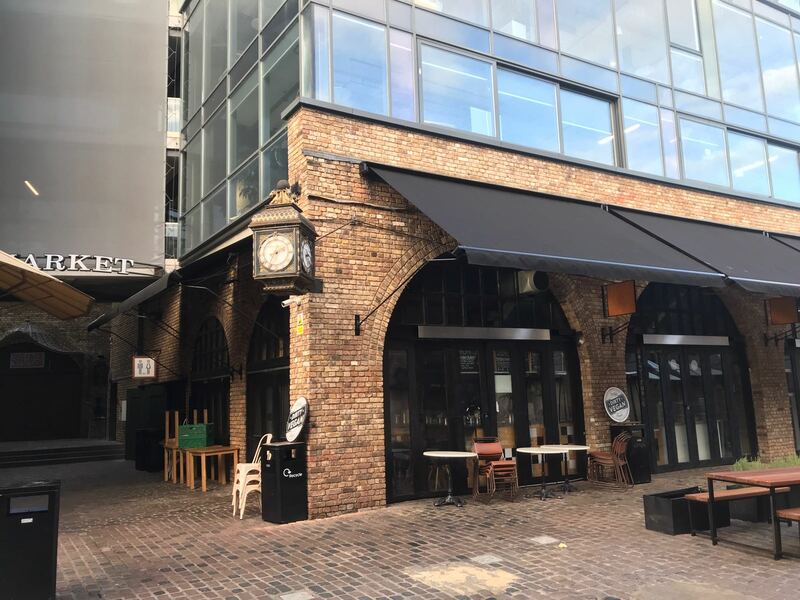 A number of traders, mainly those in fixed premises, operate throughout the week, although the weekend remains the peak period.